In this Hourlies, I will download video from any website of your choice, then I can professionally Convert or Optimize your Video, Audio to Work on Any Device, any format or Web Service of your Choice! I can download video clips from youtube, facebook, twitter, Instagram, Pinterest, LinkedIn, Vimeo, blogger, WordPress, forums and any other websites. 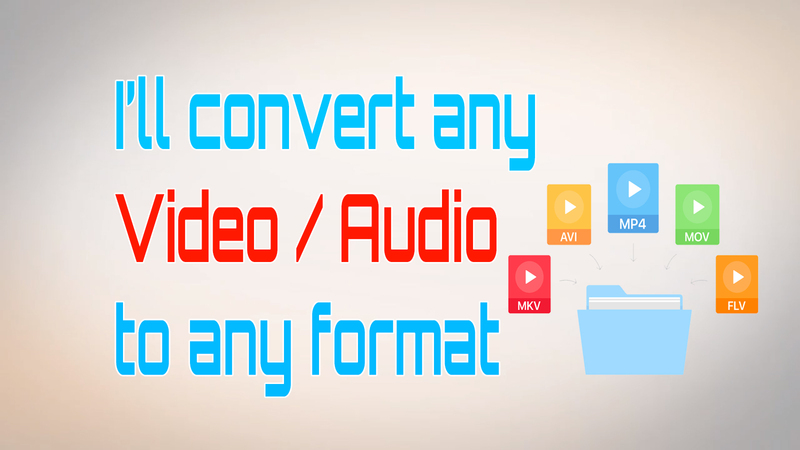 I also accept Video conversion & audio conversion as well both. You will get high-end quality results. Please contact me first before ordering, we are 24/7 available. Just i need the source link of the actual video or you can send it directly as well. I am Ashish a full-time freelancer. With having good experience of so many administrative tasks. I am extremely proficient in all Microsoft programs and the internet with its applications. My...Read moreI am Ashish a full-time freelancer. With having good experience of so many administrative tasks. I am extremely proficient in all Microsoft programs and the internet with its applications. My goal in this platform is to establish a mutually beneficial long-term business relations!